How Many Carbs are in Flour? Flour is usually made of ground grain, such as wheat or oats. However, some types of flour are made with nuts, such as almonds or coconuts. In some types of flours, carbohydrates convert quickly into sugar. 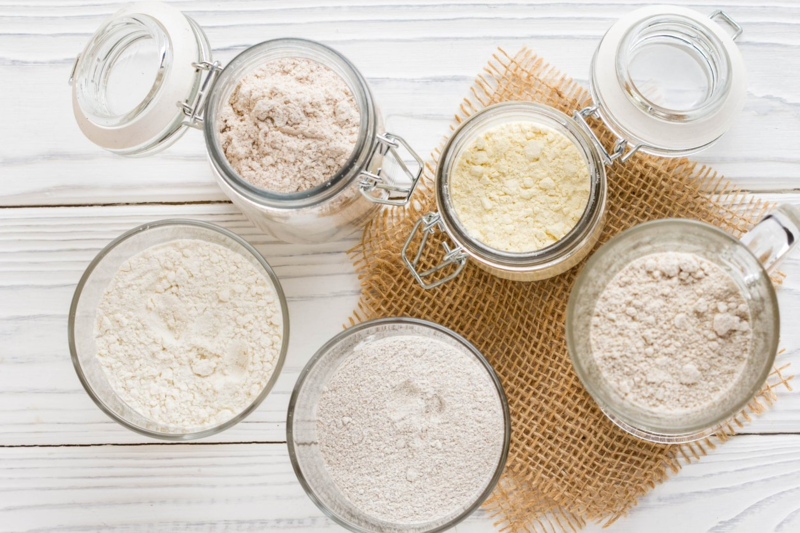 Other types of flour contain more nutritional value. In these flours, fat, protein and fiber slow the rate that the body absorbs carbohydrates. How Many Carbs are in 100 grams of Flour? When you first start using low carb flours, use recipes that specifically request low carb flour. Most low carb flours cannot be directly substituted into recipes that require all-purpose flour. Some flours, like coconut flour, absorb a lot of liquid so recipes using this type of flour will need more eggs. Once you get the hang of using low carb flours, don’t be afraid to experiment with recipes that for all purpose flours.